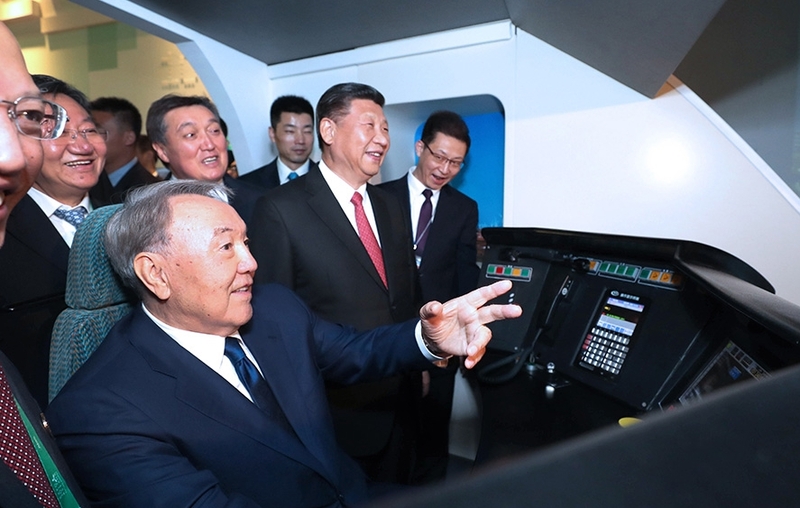 President Xi Jinping visited the China pavilion at the Astana Expo 2017 on Thursday, accompanied by Kazakh President Nursultan Nazarbayev during his state visit to the Central Asian country. At the pavilion, the two presidents watched a video about the China-proposed Belt and Road Initiative. They also had a look at exhibitions featuring intelligent energy of the future. The China pavilion, covering an area of 1,000 square meters, focuses on energy of the future and presents the Belt and Road Initiative to global visitors. Wang Jinzhen, vice-chairman of the China Council for the Promotion of International Trade（CCPIT）, said the energy theme reflects China's ideas and practical implementation regarding the most effective use of traditional energy and the development of renewable energy sources. The organizing committee of the China pavilion, approved by the State Council and led by the international trade council and National Energy Administration, was in charge of preparing and managing China's participation in the expo. China included in the pavilion models of clean energy projects and equipment as well as a simulator cockpit of a high-speed train. Domestic energy and power giants such as China National Petroleum Corp and the State Grid also are taking part in the expo's core exhibition, in which high-end technological achievements in fields such as extra-high voltage, solar energy, nuclear energy and wind energy are displayed and demonstrated via 3D movies, multimedia presentations and virtual reality technologies. Astana 2017 organizers confirmed that 115 countries and 22 international organizations are attending. The event runs from June 10 to Sept 10. "This is the first time that China has given such a comprehensive introduction of its advanced technologies and ideas in energy utilization and sustainable development at an international event," said Wang, who also is deputy head of the China pavilion's organizing committee. Construction of the pavilion began in January and was completed in May. It will host China's National Pavilion Day on July 5. 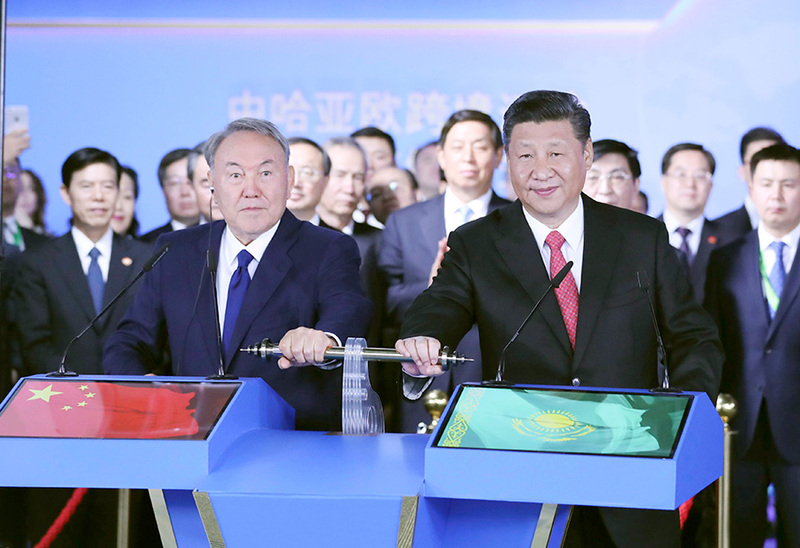 A series of activities, including a China-Kazakhstan energy cooperation forum and a tourism cooperation forum will be organized to promote the development of the Belt and Road Initiative. Air China introduced direct passenger flights between Beijing and Astana last week to help promote the expo. The flights will leave three times a week on Tuesdays, Thursdays and Sundays. Up to 42 Chinese students majoring in Russian studies had been chosen to work as volunteers at the pavilion. They are from 10 Chinese universities, including Beijing Foreign Studies University and Shanghai International Studies University. "China was among the first countries to sign the exhibition agreement and was the first one to accept an exhibition pavilion," said Feng Yaoxiang, the international trade council's spokesman.